Ruby stone is considered one of the precious stones. Ruby stone is available in pink to dark red color. Element chromium makes its appearance red. The best quality Ruby has pigeon blood-red and is very smooth in touch with fine and sharp cut and shape. In astrology, gem stones are recommended on the basis of placement of planets in a horoscope. Ruby represents Sun which is one of the luminaries in our universe. Sun is also considered as father or king and denotes authority, courage and dignity. Sun is also the soul of an individual. If Sun is positive and powerful in the horoscope, the person will be royal and reputed. If Sun is weak by placement in the chart or is in debilitated state or is in enemy sign, the desired results of Sun as well as the house it denotes cannot be expected. The person lacks financial and professional stability. He hardly gets any favor from government. Gems affect the subtle energy field of human being. (To understand subtle energy, see our article Theory of Subtle Energy). Our energy and thought process and accordingly the actions (karmas) are governed by this subtle energy. If malefic planets like Rahu, Saturn or Ketu are posited with Sun, or Sun is placed in 6th, 8th or 12th house of a chart, Ruby gem can be worn. But finally before wearing this gem, the horoscope should be got analyzed by learned Astrologer. This gem is also recommended when there is Pitar dosha in the chart. When Ruby is worn in a ring or in the form of pendent, the continuously vibrating power of Ruby is absorbed in the individual’s aura. Thus, the aura becomes more powerful to protect the individual from any obstacle caused through any external negative energy. The wearer gains confidence and feels energy flowing in him. 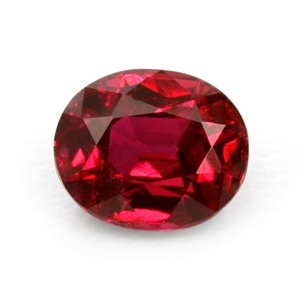 Ruby is also recommended for politicians and higher Government officials holding authorities. Weak Sun in a chart denotes many health problems including diseases related to bones, blood pressure, various heart problems, rheumatic pains, lack of confidence, unstable mind and weak eyesight etc. Wearing Ruby can help in curing these diseases. Ruby can be embedded in Gold if the ascendant is Aries, Leo, Sagittarius or Scorpio. For other ascendants, it should be worn in silver ring on Sunday morning (Shukla Paksha) after dipping the ring in Gangajal or raw milk and energizing the Gem with the prescribed mantras. Ruby is considered a hot gem by nature.